The Government’s recent call for simple financial products could put simplified advice back on the regulatory agenda. In December, the Treasury published a consultation which called on the financial services industry to develop a range of simple financial products for mass-market consumers. The idea is that simple products would sit alongside existing products in a similar way to supermarket ranges branded as “essential” or “basic”. The Government says simple products will not be subject to price caps which were one of the causes of the failures of previous simple product initiatives such as Cat standards and stakeholder products. The consultation draws parallels with work carried out by bodies such as the Association of British Insurers and the British Bankers’ Association over the last three years to develop a simplified advice process. The FSA has made it clear it is up to the industry to come up with a viable proposal. 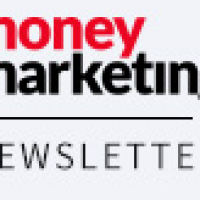 But Money Marketing understands that simplified advice plans have effectively been shelved at the regulator as it has not been satisfied with the models put forward so far. Lansons public affairs and regulatory consulting director Richard Hobbs says the Treasury consultation could be the trigger to move forward again with simplified advice. 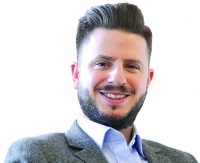 He says: “For three years, the FSA has shown a distinct lack of interest in engaging with the industry on simplified advice on any basis that the industry came up with. ABI assistant director of consumers and distribution Peter Jolly believes the simplified advice process could help deliver the simple products the Government is calling for. He says: “We believe straightforward products that serve straightforward needs, such as protecting one’s family, starting tax-free regular savings, joining a company pension scheme or choosing an annuity at retirement, can be more economically served by automated, simplified advice models. The difficulty in marrying up simple products with simplified advice arises with where the liability lies on complaints. In a speech last May, FSA director of conduct policy Sheila Nicoll said there would be no “get out of jail free cards” on simplified advice. Hobbs believes the debate over simple products will be overshadowed by the fear that if consumers suffer as a result of a simplified product sale either the regulator or the Financial Ombudsman Service will be quick to apportion blame. An FOS spokeswoman says: “What is important is that the consumer understands the basis on which they have taken out a simple product and whether advice has been given or not. It is already a familiar area to us to distinguish whether somebody has been advised or not. I thought the advice model operated by the banks is simplified, and the FSA doesn’t seem to have a problem with that. Well, it probably does, but whenever any noises about regulatory action in that direction start to emanate from Canary Wharf, the banks put in a call to the Treasury and the Treasury puts in a call to the FSA to call off the dogs. So for the Treasury now to have produced a document which will kickstart a review of simplified advice on the part of the FSA is going to throw up just a few strategic conflicts, is it not? What banks is it Mark Hoban will be joining the board of? I assume it will be one of the main players, the ABI or BBA. The ABI and BBA want to sell simple products via established channels and cut out brokers again, no surpirse there then. The banks are nervous that they will be held accountable when the complaints start rolling in and will only undertake this if they have some guarantees on no accountability. It is shocking that depsite complaint figures Mark Hoban still wants to push this dumbing down policy through. There are also calls for advisors to somehow give free education to the public to increase financial awareness and accountability, while watching there income streams deminish under constant outside intervention. What you are suggesting should not happen and its about time the BBA realised they cannot or rather should not have it all there own way.